Entertain your guests in a space that would make Queen Victoria proud. 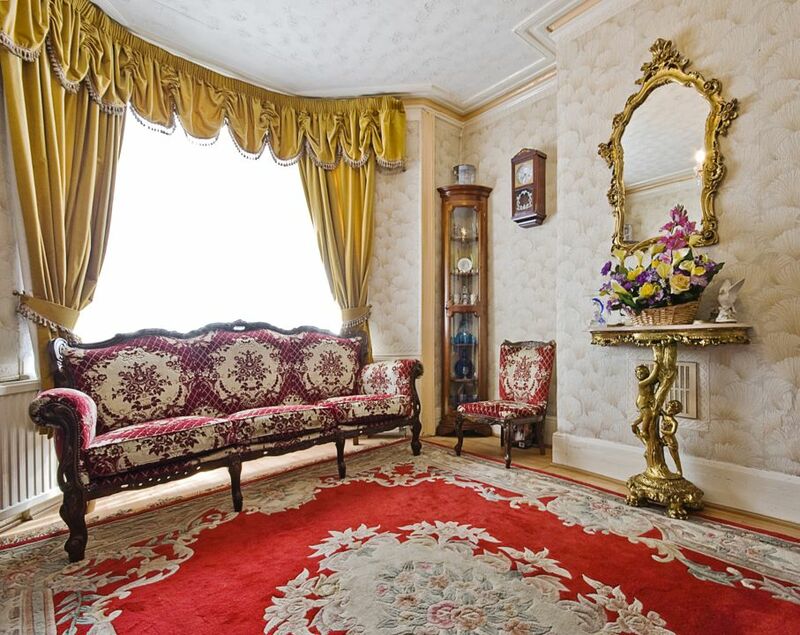 For the Victorian homeowner, the parlor was a sign of status and the hot spot to host guests. Used for formal events like weddings and funerals, the parlor would be all decked out to showcase the best a family had to offer. The more ornate, opulent, and elegant, the better. From 1837-1901, room design of this era was considered the height of style if artfully layered with wallpaper, paint, textiles, and floor coverings. Instead of one element dominating design, many elements would team up to define the look of the room. To the modern homeowner, this design style might be too extravagant, but an updated version of the Victorian parlor can be created with existing furniture and a few changes to key design elements. 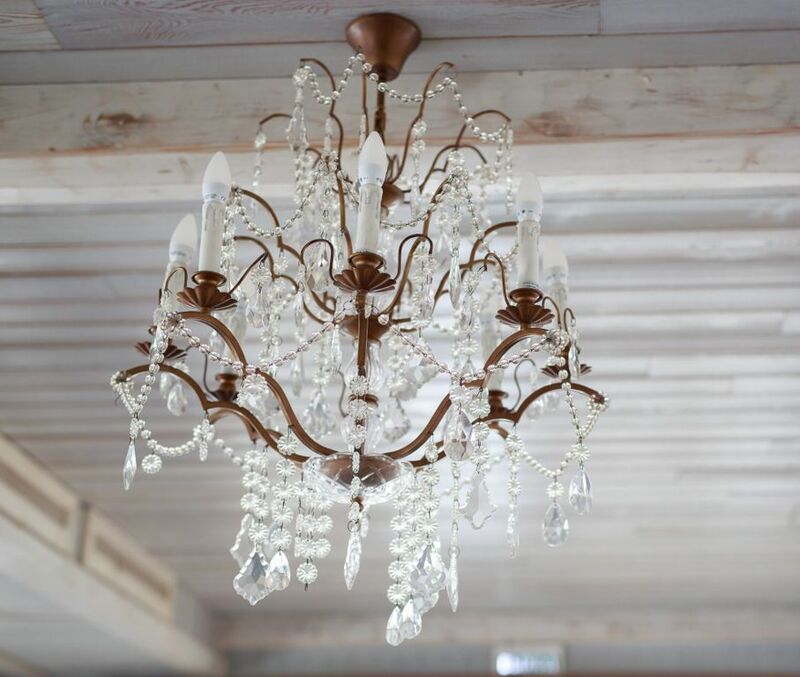 Installing a grand chandelier at the center of the room, instantly makes a room reminiscent of the Victorian era. But don’t just pick any fixture that appeals to you. Look for ones heavily decorated with dangling crystals, tiers of candelabras, or a combination of the two. Add to the mood lighting created by the chandeliers with strategically placed wall sconces. They’re perfect accents for a fireplace, large mirror, or artwork. Options that are true to the Victorian style have etched glass shades, scrolling details, faux candles, or draped crystals. Chandeliers and sconces make a majestic statement, but they don’t provide much wattage. Incorporate table and floor lamps throughout the room. If you don’t want to invest in new fixtures, replace the shades on your existing ones. Dome-shaped shades embellished with braiding, lace, beads, or intricate brocade are suitable choices. 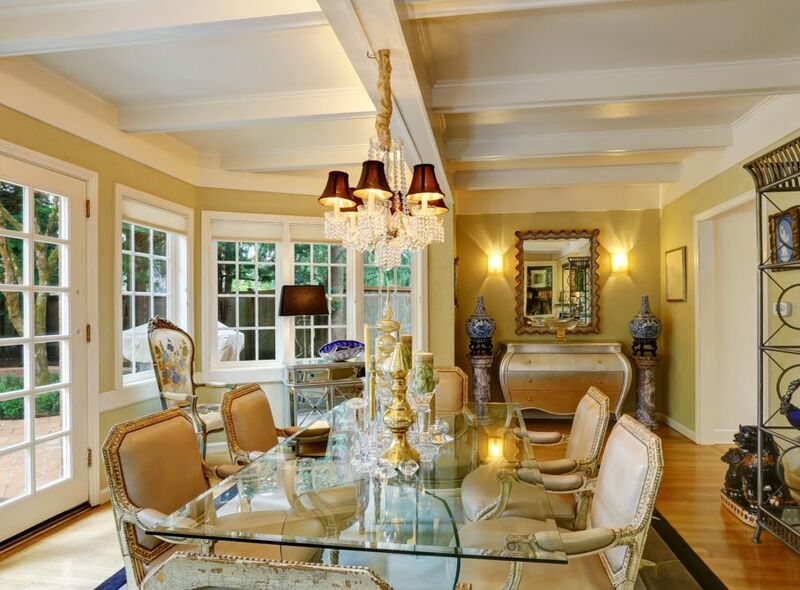 For a touch of color and charm, consider Tiffany-style lighting. These lamps began production toward the end of the Victorian era. It was common for Victorian homes to have wood flooring with decorative details, like the geometric patterns of a parquet. If you don’t have wood floors, or aren’t interested in changing the ones you have, an area rug is a must-have. 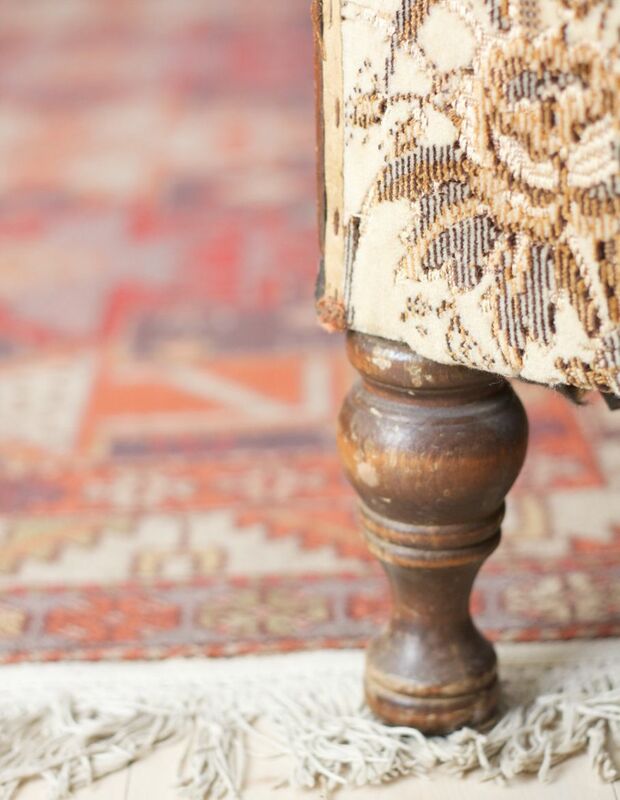 During this period, rugs were first used for decoration rather than just function, and people began layering rugs atop carpeting. Hallmarks of area rugs from this period include intricate patterns of flowers, geometric shapes, ribbons, and scrolls. Traditionally the color palette included pastels, but today you can find rugs in a variety of rich, deep colors that are still suitable for the look. 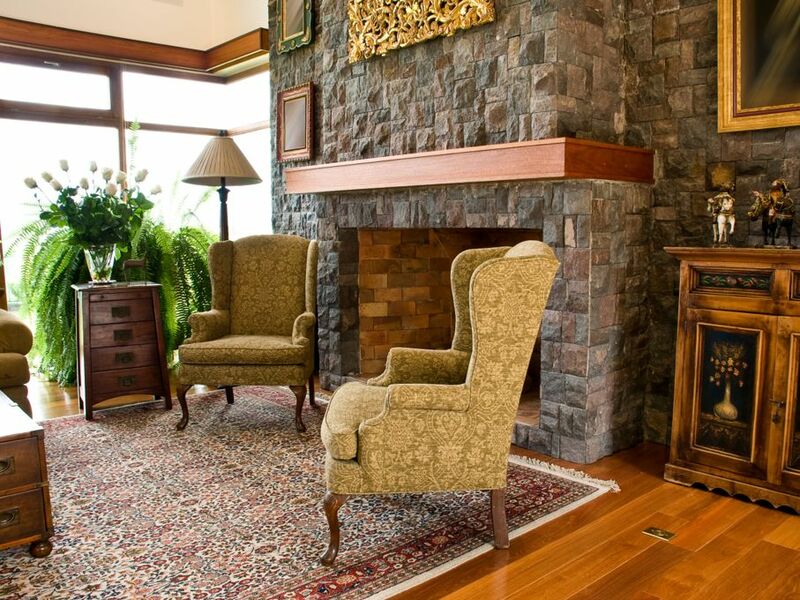 For softness and luxury, splurge on a hand-tufted wool rug that can last you more than 30 years, if properly cared for. Synthetic options are just as beautiful, but will need to be replaced more frequently. A carefully chosen area rug can become the centerpiece of the room placed in front of the sofa, under the coffee table. Wallpaper and other wall coverings, such as tapestries, were popular during the 1800s because techniques existed for mass production. Designed as a work of decorative art, wallpaper was available in a wide range of colors with elaborate patterns and styles. When selecting wallpaper for your room, look for designs that mimic the detailed patterns found in Victorian rugs, fabrics, or tapestries. Select deep, rich colors and styles that have texture. 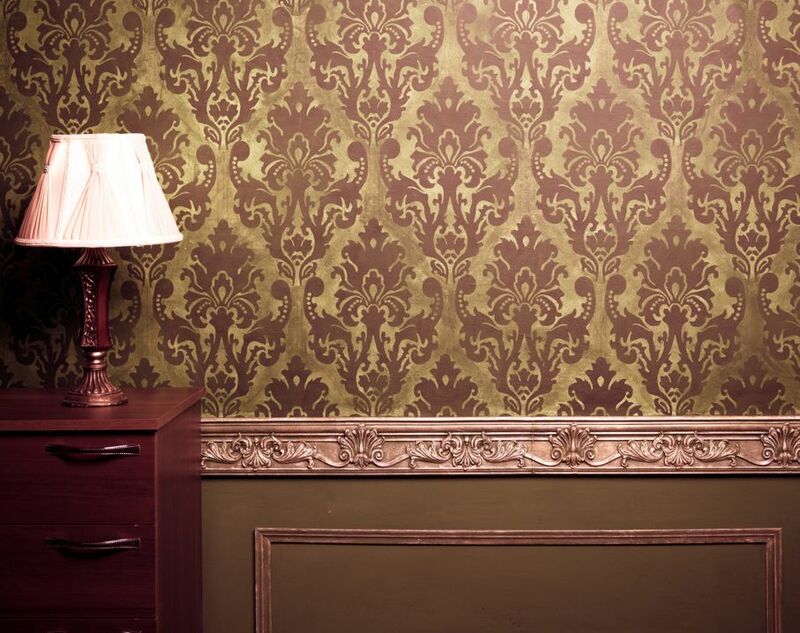 Keep in mind that in the Victorian home, wallpaper was not considered an accent or background element. The walls were a major design feature, so choose a pattern that will impress your guests. Whether you decide to redo your entire living or just introduce a couple of elements, Victorian decor can add elegance to a room. For those with edgier tastes, try out variations of Victorian decor with Steampunk or Victorian Gothic. Experimenting with new looks just got easier with House Tipster’s 3D Virtual Rooms. With VR anyone can get started today on becoming their own interior decorator.